As the Syrian crisis enters its seventh year, civilians continue evacuating towns and cities seeking safety in other Syrian cities or neighboring countries. The need to manage refugee camp facilities has become a serious concern for humanitarian organizations and the governments of neighboring countries. As of April 5, 2017, the United Nations High Commissioner for Refugees (UNHCR) and the Syria Regional Refugees Response (SRRR) report that Jordan hosts 656,913 “registered” Syrian refugees. Of this number, 140,990 (21.5 percent) are in refugee camps, while 515,923 (78.5 percent) are scattered across Jordanian urban territories. Al Za’atri camp, which has grown to encompass more than one camp, is the largest refugee camp in the world. Its population as of 2015 was 71,227, and it is the fourth largest populated place in Jordan. Al Za’atri camp is also the most mapped refugee camp in the world. Originally, Al Za’atri camp was designed to accommodate 20,000 refugees, but because the situation in Syria has worsened, its area has grown accordingly. In addition to water sources, hospitals, schools, mosques, kitchens, restrooms, showers, and sanitary dumps, Al Za’atri camp provides residents with other facilities. Managing these facilities became more challenging as the population exploded and the area served expanded. Management includes distributing facilities throughout the camp, monitoring the condition and efficient operation of facilities, and determining the need for additional facilities. In 2010, REACH was started as a joint initiative as part of the IMPACT Initiative, Agence d’Aide a la Cooperation Technique et au Developpement (ACTED), and the United Nations Operational Satellite Applications Programme (UNOSAT) to provide information and maps for decision-making using GIS. The goal of using GIS is to enhance the delivery of all aid types to refugees in the conflict areas through the use of reliable and up-to-date information. In 2013, REACH began activities in Al Za’atri camp to improve access to facilities by familiarizing refugees with them through GIS maps. REACH GIS experts created thematic maps to show statistics for the demographic data on Syrian refugees. ArcGIS for Desktop is used to map all camp facilities and analyze the accessibility of these facilities. As part of this proximity analysis, Theissen polygons were created to calculate the number of tents served by a water tank, kitchen, restroom, or other specific facility. After calculating these statistics, facilities could be rearranged to provide equitable access to them. The first map of Al Za’atri camp was created using a UNOSAT satellite image as a guide. Inside the camp, field crews equipped with Garmin eTrex GPS devices, collected the positions of facilities to assist in the creation of vector data. Information, such as Arabic streets names as they were spelled by refugees, were written on hard copies of the satellite image. Because all camp residents are Muslim, it also was important that the map indicated the Qibla, the direction Muslims should face when praying. Once this data was collected, GIS experts at REACH’s Amman-Jordan base station downloaded it from the GPS devices and converted it to a geodatabase feature class. Information that had been written on the satellite image was added as an annotation feature class and placed in the same geodatabase. The map created from these feature classes represented all the facilities, landmarks, and street names for Al Za’atri camp in one powerful static map. This map was a decision-making tool for the humanitarian community and the refugee population in the camp. The data collection process is the responsibility of ACTED, Japan Emergency NGO (JEN), and Oxfam. Data verification is the responsibility of the United Nations Office for Project Services (UNOPS), and development is REACH’s responsibility. The final product is an interactive map showing the entire wastewater network (pipes and four sizes of septic tanks) for Al Za’atri camp with filtering capabilities, along with the camp basemap showing the streets, caravans, tents, and services. The map is updated periodically to incorporate any work done by stakeholders and partners. The ArcGIS platform enlightened all stockholders and partners about the refugees’ life inside and outside the camp and made taking action easier and faster. For more information, contact Eyad Ghattasheh, GIS consultant, Openware via email at e.Ghattasheh@openware.com.kw or by telephone at 00965-60402910. 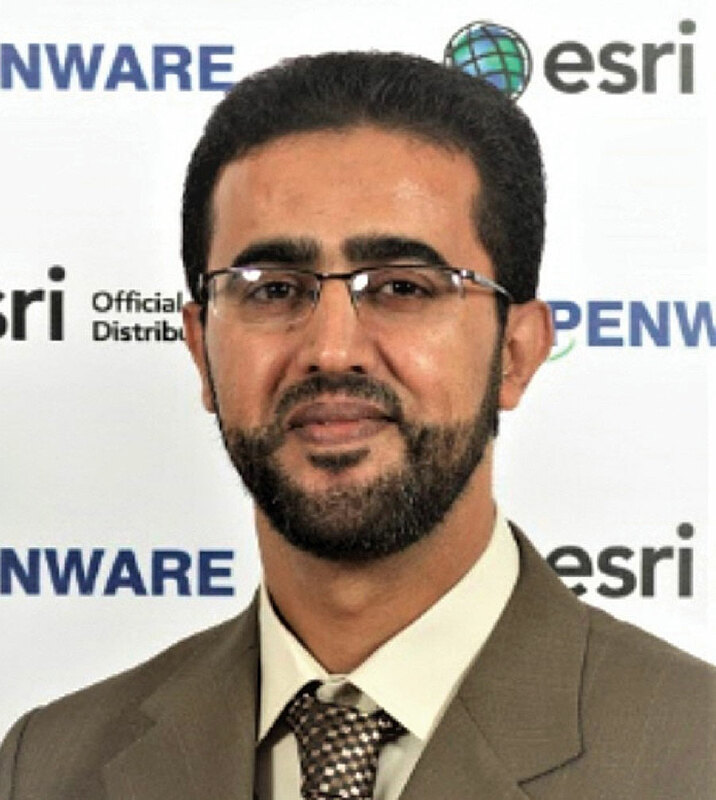 Eyad Ghattasheh has been working in the GIS industry since 2000. He has applied his GIS skills in his work for many entities, both local and international, including Jordan’s Department of Statistics; the Norwegian People’s Aid on Syria-Jordan demining and the Unexploded Ordnance Disposal Project; the Institut Français du Proche-Orient (IFPO) on the Jordan Atlas project, Information Management System for Mine Action (IMSMA) and ACTED/REACH on support for the Syrian crisis refugee camps in Jordan. In 2013, he joined Openware, the Esri distributor in Kuwait, as a GIS consultant and supports many projects. Ghattasheh has a bachelor’s degree in geomatics from the University of Palestine, Gaza.